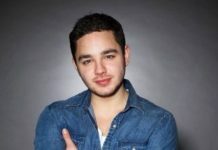 EMMERDALE EPISODES: Harriet’s nightmares at the hands of her stalker continue this week while people still point the finger at Dawn as the culprit. 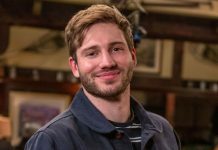 Robert and Aaron’s surrogacy plans also take a step forward until Faith and Bear get involved, Matty prepares for his surgery, and Priya is put out when Aiesha goes all out for Rishi’s birthday. 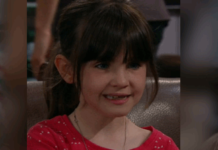 Mon 15 Apr 2019: Harriet Finch becomes increasingly terrified by the sinister prank calls she’s receiving. 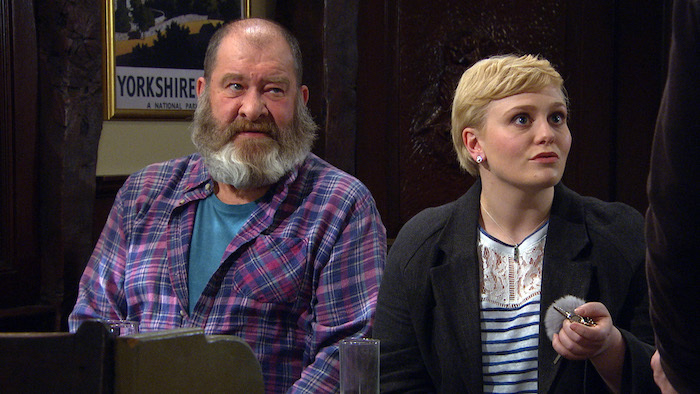 When Bob Hope hears Dawn on the phone in the Woolpack corridor, he starts to think she may be behind it. 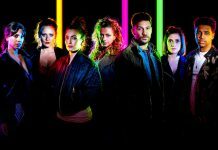 Mon 15 Apr 2019: Bob Hope heads to Woodbine to share his theory with Harriet and a furious Dawn who says she’s moving out. 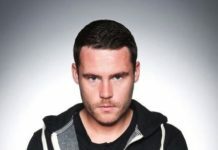 Tues 16 Apr 2019: Aaron Dingle is stressed ahead of their meeting with potential surrogate Natalie when Robert Sugden is stuck on the road. 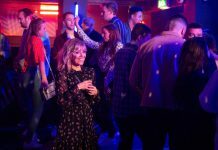 Tues 16 Apr 2019: Faith Dingle promises to keep Natalie entertained in the pub to delay her but soon she and Bear get carried away. 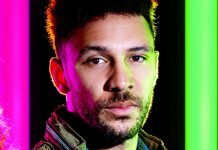 Tues 16 Apr 2019: Faith Dingle and Bear Wolf get carried away spinning lies to make Aaron and Robert seem an attractive proposition to Natalie – but could it backfire? 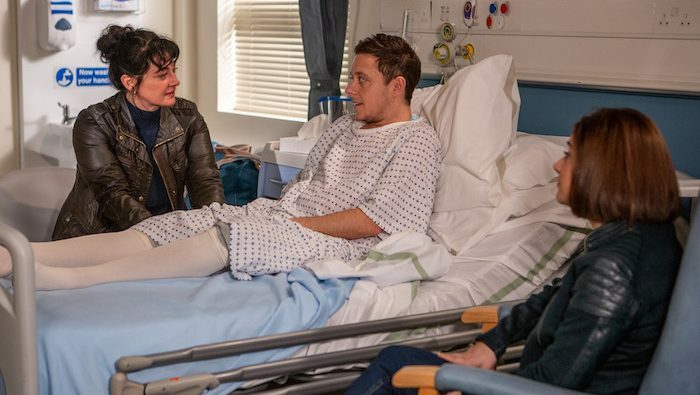 Tues 16 Apr 2019: Matty Barton is apprehensive ahead of his surgery. 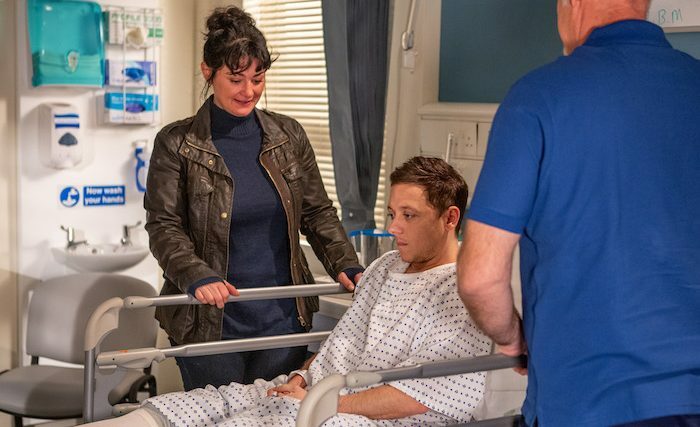 Tues 16 Apr 2019: What Matty needs right now is an over-bearing mother to calm him down… right Moira? 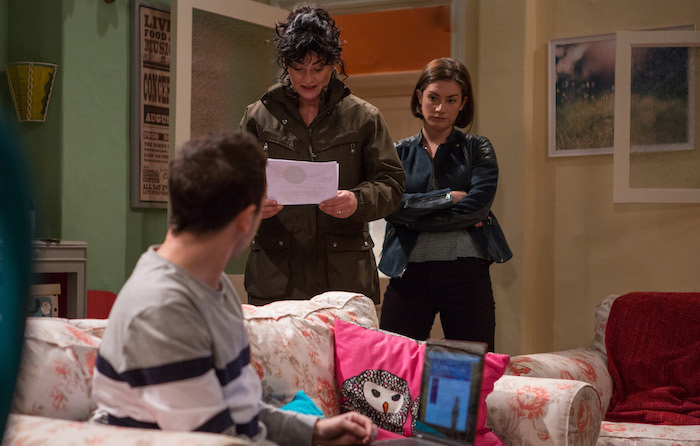 Tues 16 Apr 2019: With Moira and Victoria fussing over him, its a wonder Matty even has time to worry about himself. 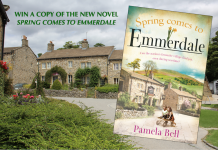 Tues 16 Apr 2019: Harriet Finch is out in the village when she hears the church bells ringing. She goes to investigate but the heavy door slams behind her. 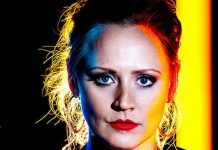 Tues 16 Apr 2019: Harriet Finch is locked in and frightened to death. What will happen next and who has locked her in? 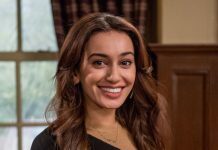 Wed 17 Apr 2019: Priya Sharma is put out by Aiesha’s thoughtfulness towards Rishi Sharma. Wed 17 Apr 2019: Time to celebrate Rishi Sharma’s birthday but Priya doesn’t look in the mood. 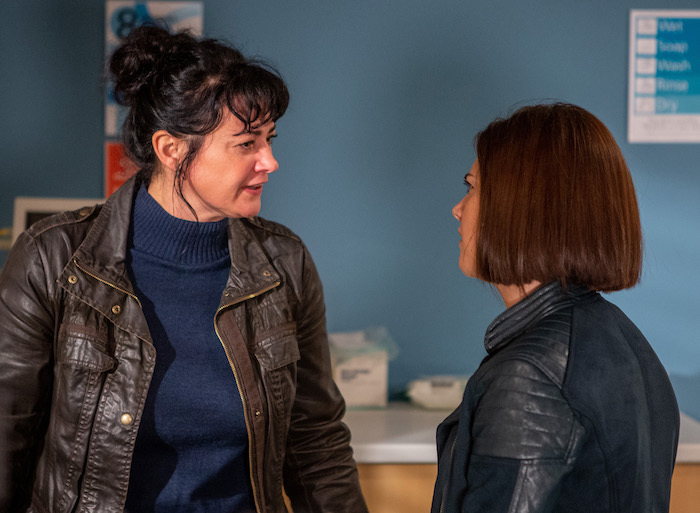 Thurs 18 Apr 2019 – 7pm: After Matty Barton’s gone in for his operation, Moira Dingle lashes out at Victoria Barton. 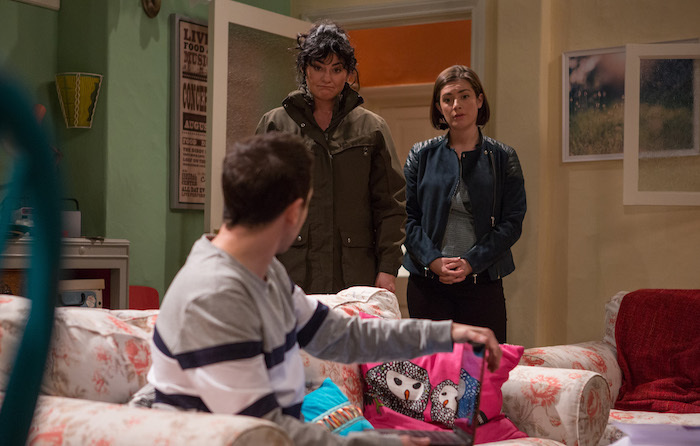 Thurs 18 Apr 2019 – 7pm: Upset, Moira Dingle confesses her distress for Matty stems from Holly’s death and Victoria comforts her. 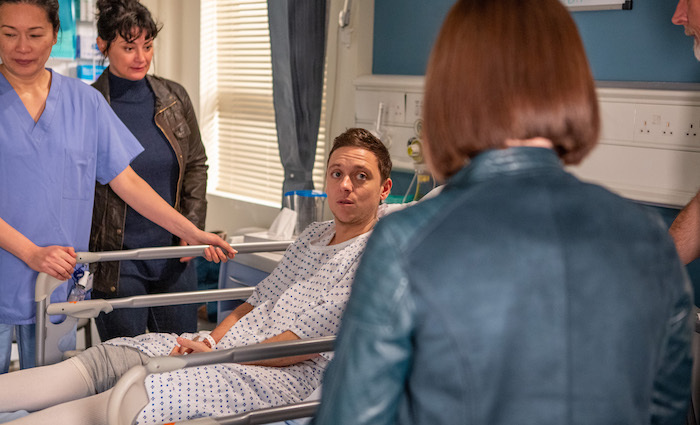 Thurs 18 Apr 2019 – 7pm: As they wait, Moira fears the worst when she sees a nurse running towards Matty’s operating theatre.